IF YOU ARE BORED WITH THE OLD STYLE OF GUEST CHECKS PRESENTER. Please come and visit my luxurious products. All of our GUEST CHECKS PRESENTER FOR RESTAURANT ARE 100% HANDMADE and we do not use the vinyl or fold. 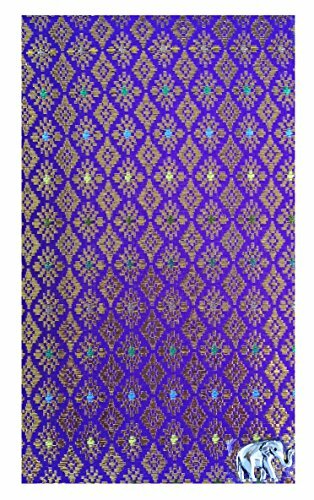 We make from high quality cardboard, foam and wrap with Thai fabric in many colors. EACH CHECK PRESENTER MEASURE 5" X 8.5" and have a credit card pocket as well as separate pockets for receipt, cash and notepad. We can guarantee that OUR CHECKS PRESENTER ARE FUNCTIONAL, DURABLE and you can't find in the other shops. 100% HANDMADE LUXURIOUS Thai silk blend with elephant pewter guest check presenter, check holder for restaurant, waitstaff organizer, restaurant server book. CHECKS PRESENTER FOR RESTAURANT come with 3 slots to organize cash, receipt, credit cards and notepad. OUR CHECKS PRESENTER are beautiful, unique and can't find in the other shops. Idea for use as CHECKS PRESENTER FOR RESTAURANT, SERVER BOOKS for waiters and waitress.